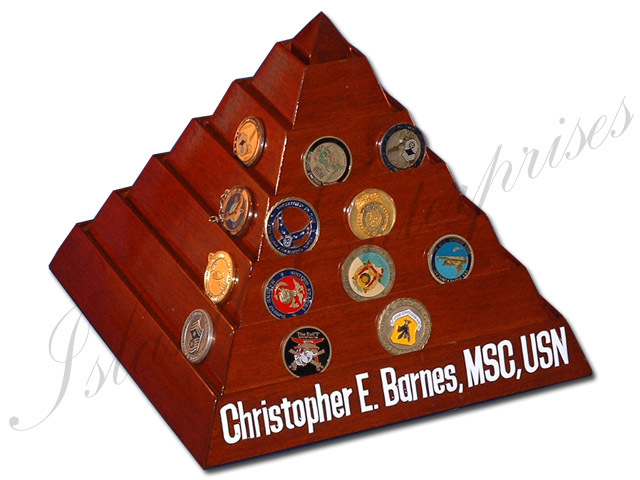 Display your coin collection on this Pyramid style coin holder. It is mounted to a 4” swivel base that rotates. The 6 tier version holds about 70 - 80 coins. Also available in 8-tier and 10-tier versions. You can customize this with any carved text you want on the bottom row. And don’t forget, we offer a 100% money back guarantee if you are not convinced you have bought the best product available on the market!! !